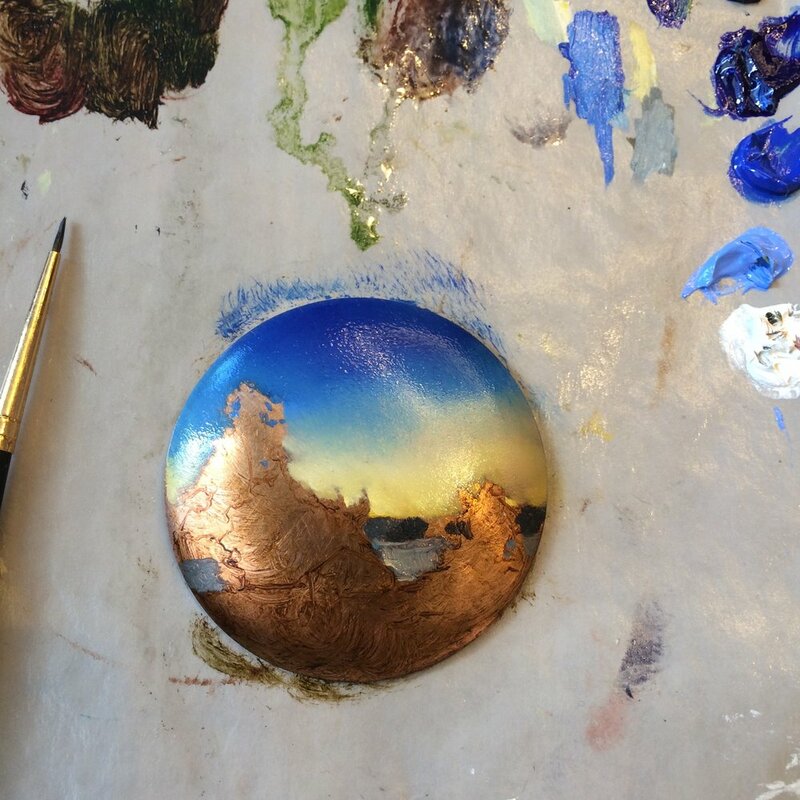 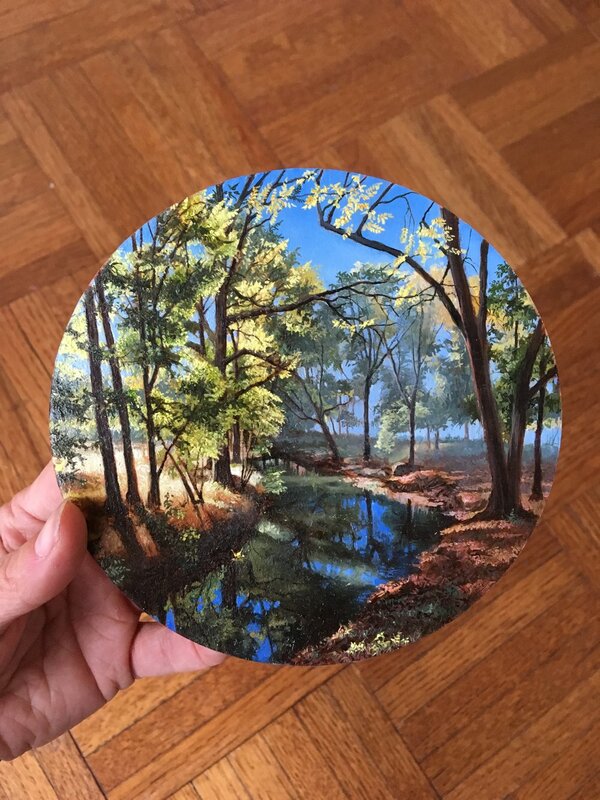 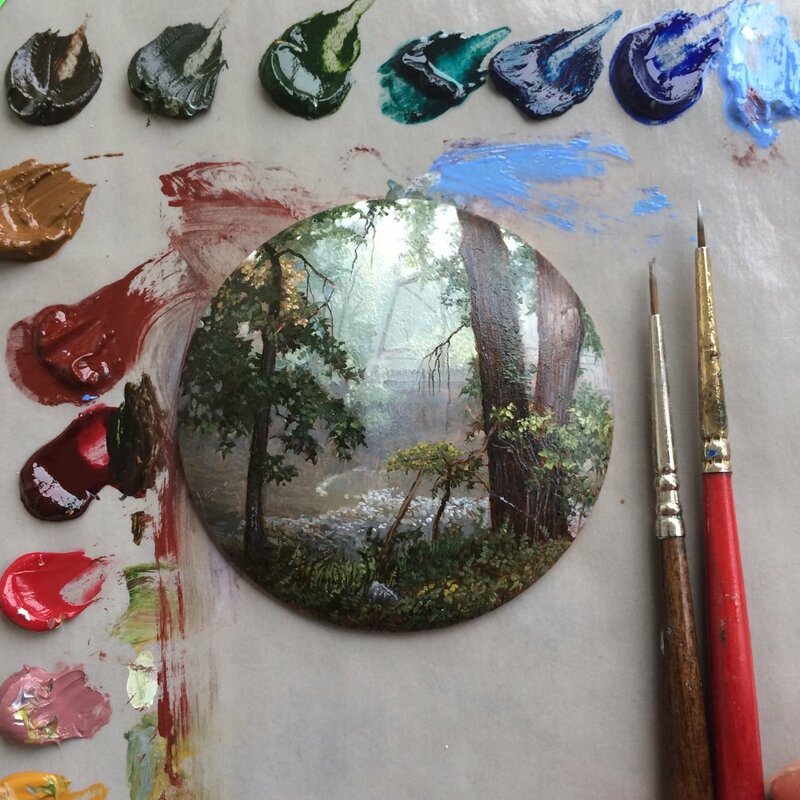 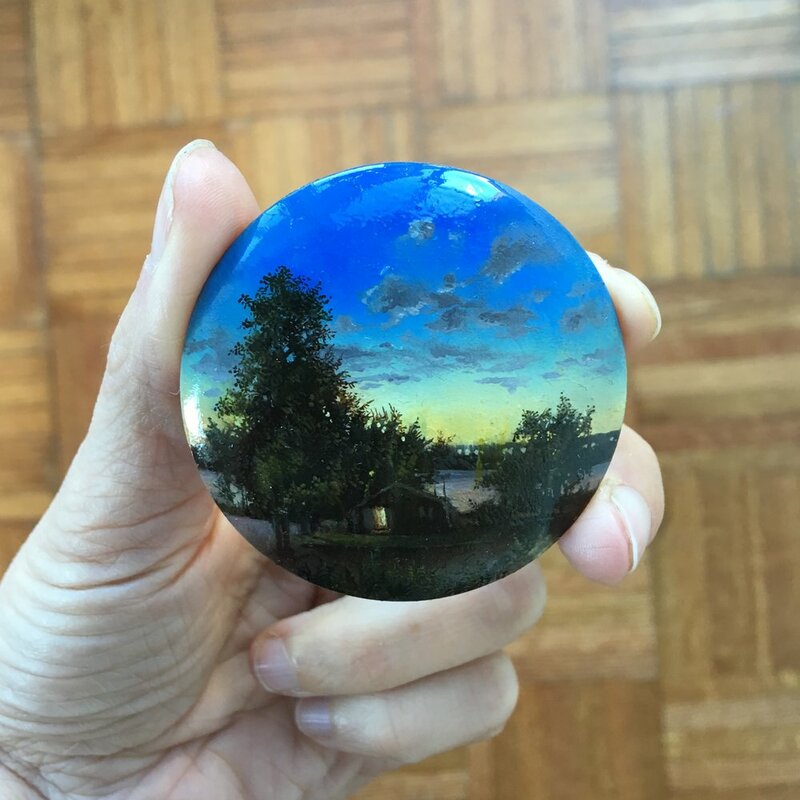 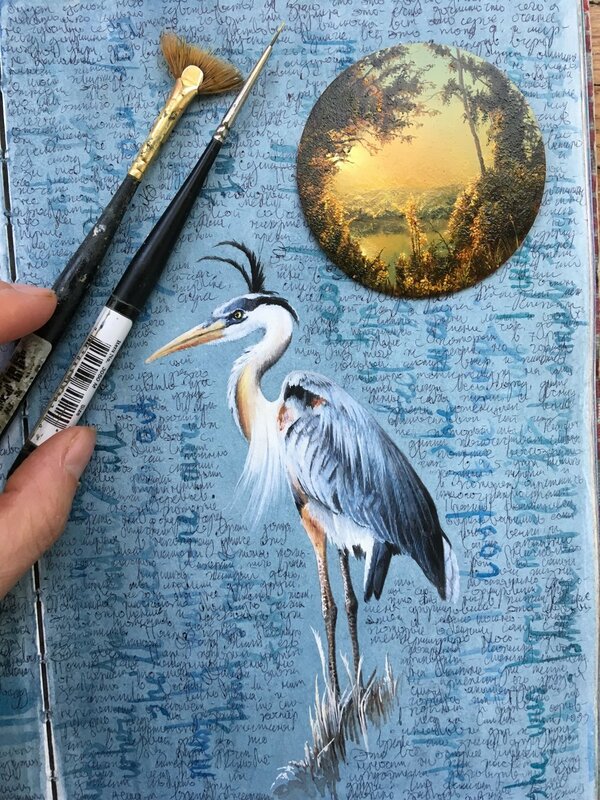 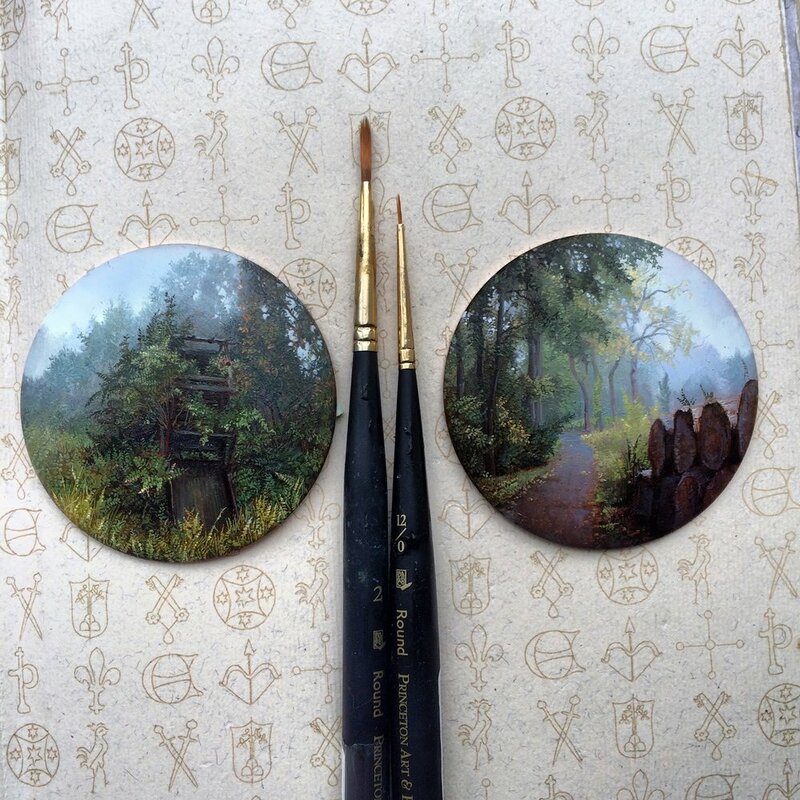 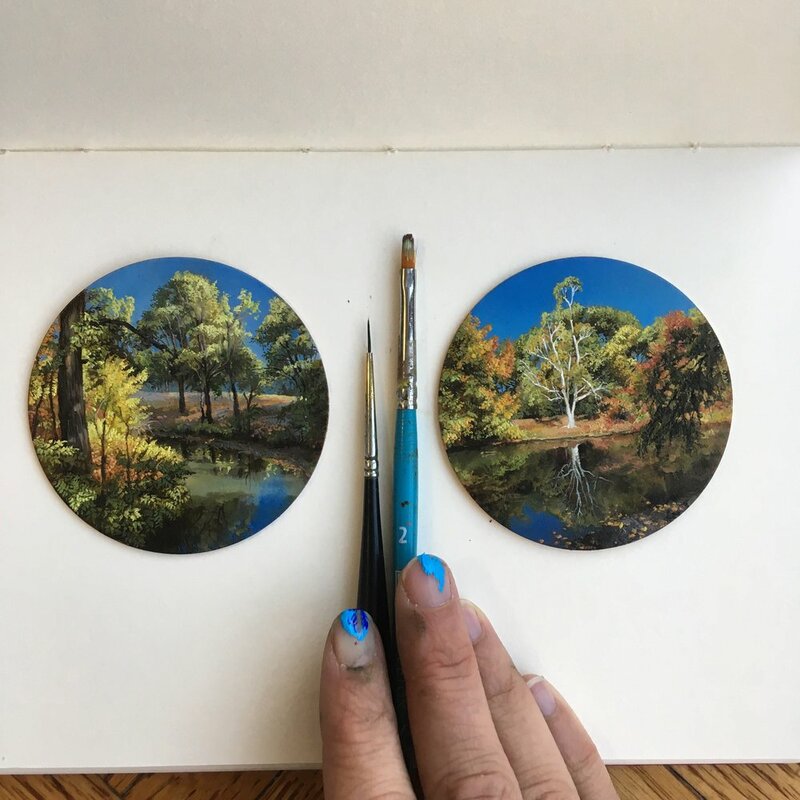 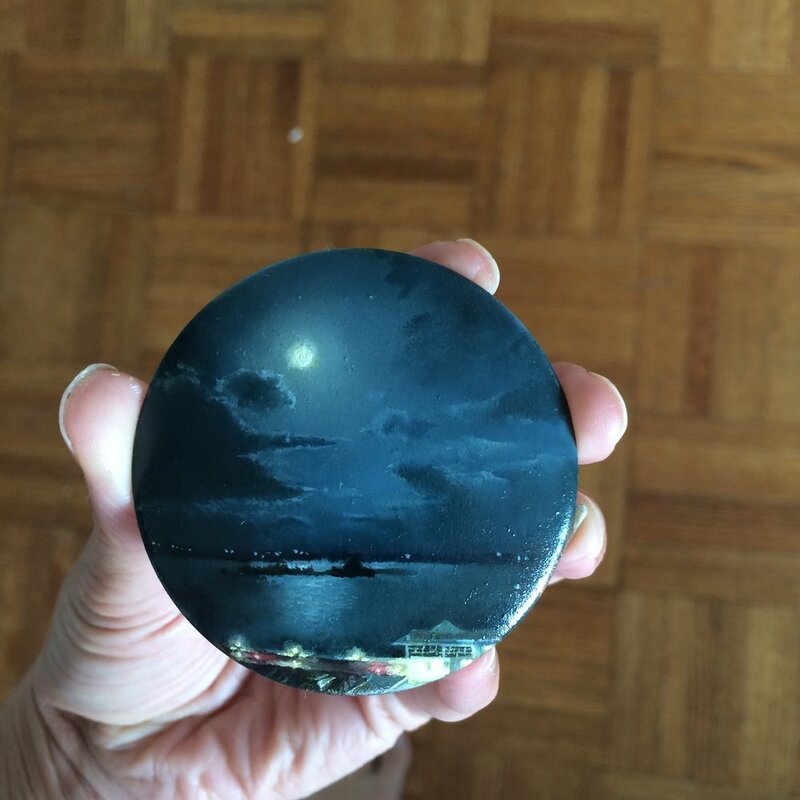 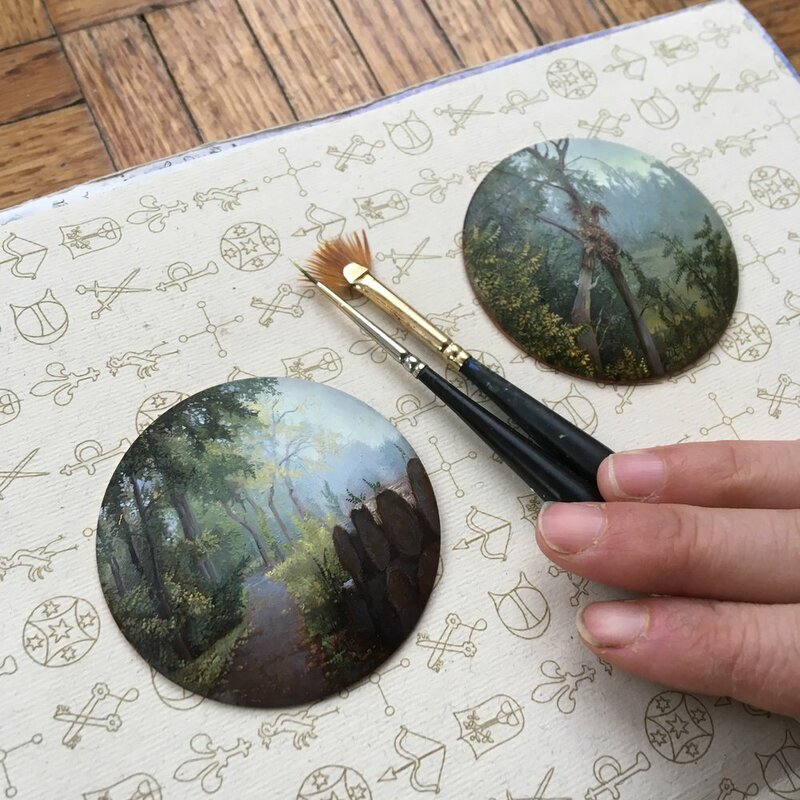 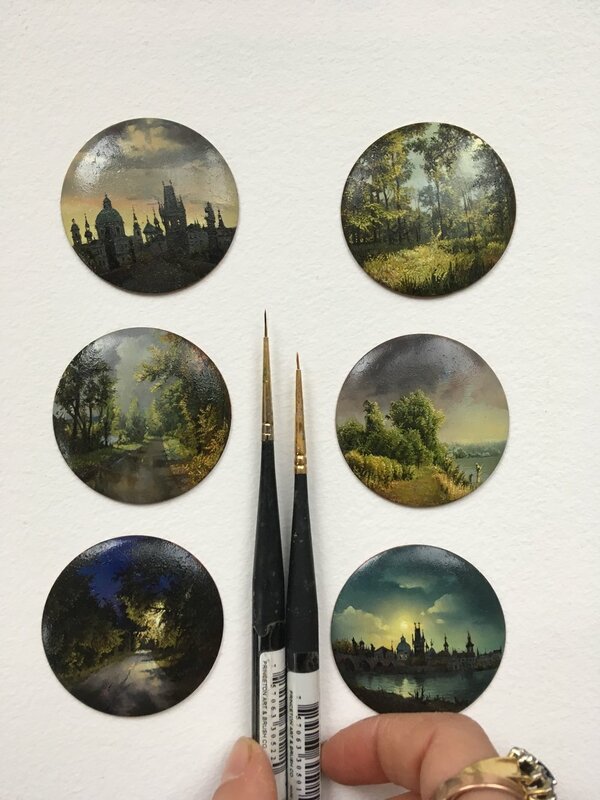 She makes small, circular paintings on copper discs of carefully observed and recorded landscapes. 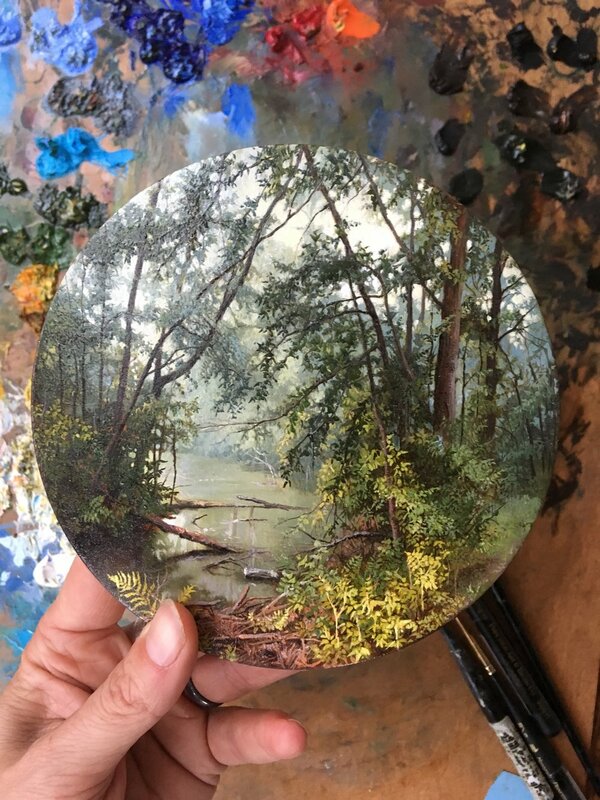 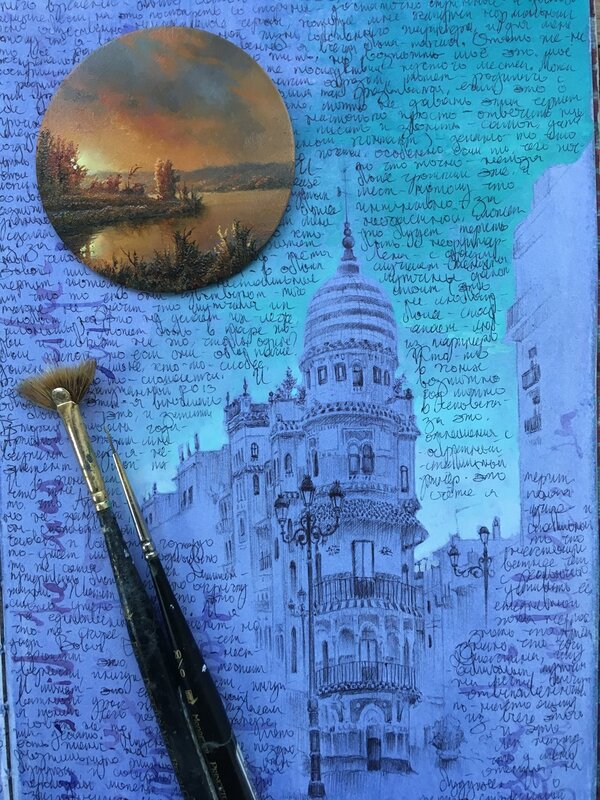 Hers is a classical technique, deploying skillful handling of colour, tone and texture to describe specific location, time of day, weather and atmosphere. 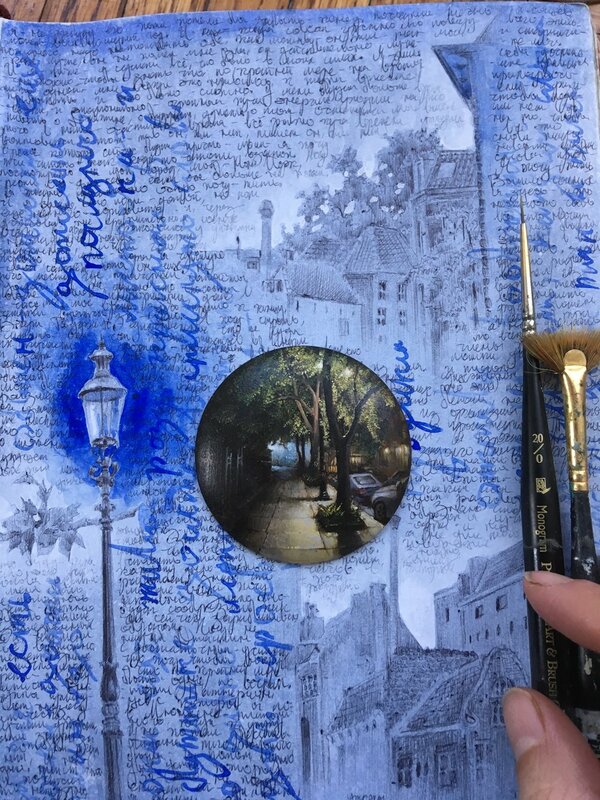 The paintings are produced in series and document particular journeys: long-distance ones which the artist makes on bicycle. 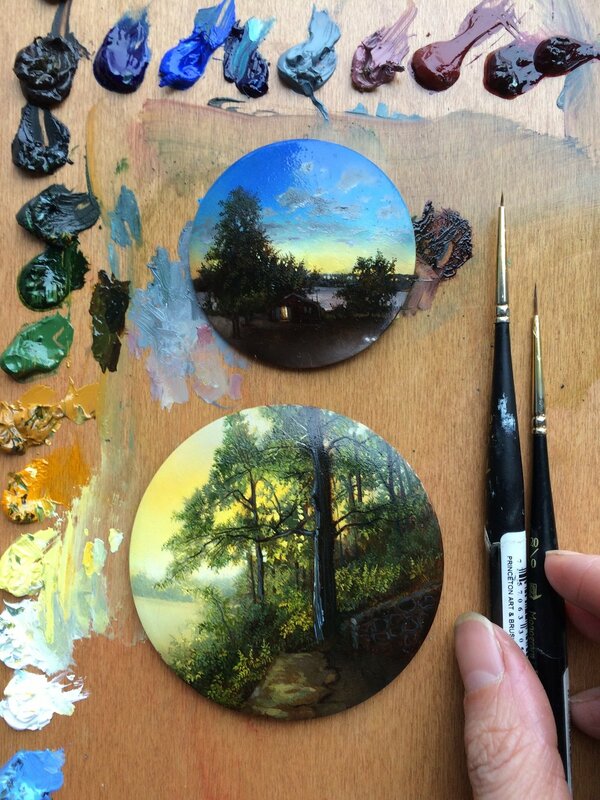 The artist refers to these journeys as one of the great passions of her life. 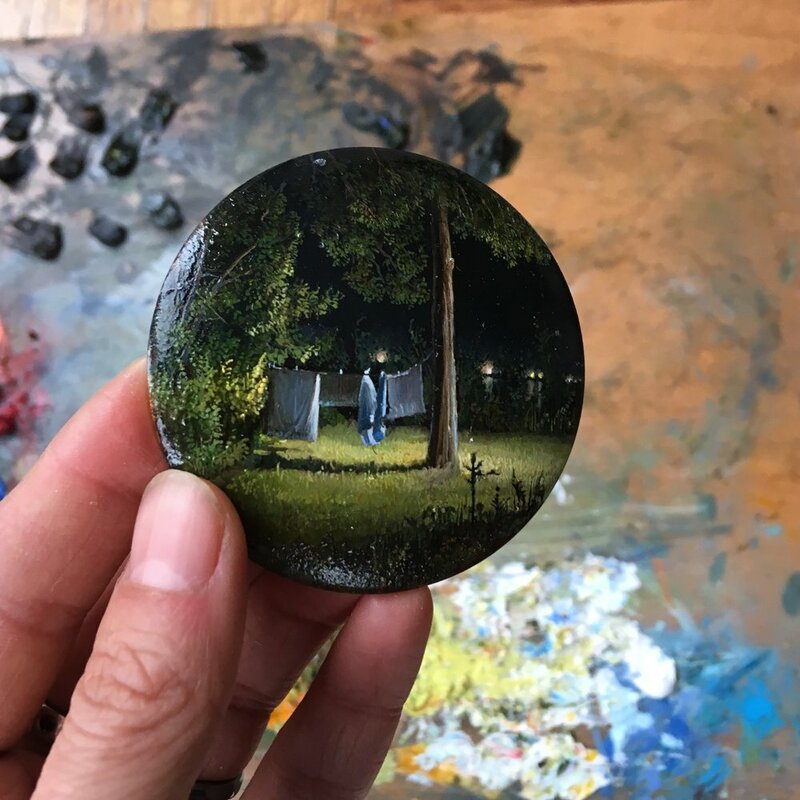 Each painting in the series is a return to a significant place and moment, xing a visual memory in an exquisitely rendered miniature.